Kynar wire wrapping is an automatic or semi-automatic termination method generally used in large scale wiring of computer backpanels. It involves the helical wrapping of a solid conductor around a rectangular post under controlled tension. The post corners exert high forces on the conductor which penetrate surface contamination and prevent the intrusion of resistive oxides which can compromise termination reliability. Due to this high pressure, cold flow of the mating surfaces actually results in contact improvement with time. When employing this termination method, it is preferable to use wire constructions specifically designed for this purpose. Both conductor and insulation materials must stand up to the mechanical forces and environmental conditions of installation and use. Jaguar Industries Kynar Wire and Tefzel Wire Wrap are manufactured with silver plated OFHC conductors. The presence of even minute amounts of oxygen in copper can reduce conductivity and cause embrittlement when the copper is subjected to physical stress. OFHC copper retains its mechanical and electrical integrity even after subjected to the high forces of the wire wrapping process. Insulation materials must be suitable for reliable operation in backpanel installations where high wiring density and heat are common conditions. Both Kynar and Tefzel exhibit high abrasion and cut-thru resistance even in thin sections. This results in a lighter weight, less crowded design, and eliminates concern for mechanical damage caused by contact with neighboring wires, or sharp equipment edges. Kynar, rated at 105°C by UL, can withstand continuous temperatures of 125°C. Tefzel, also rated at 105°C for UL applications is operable to 150°C. Both retain their mechanical strength at these temperatures. 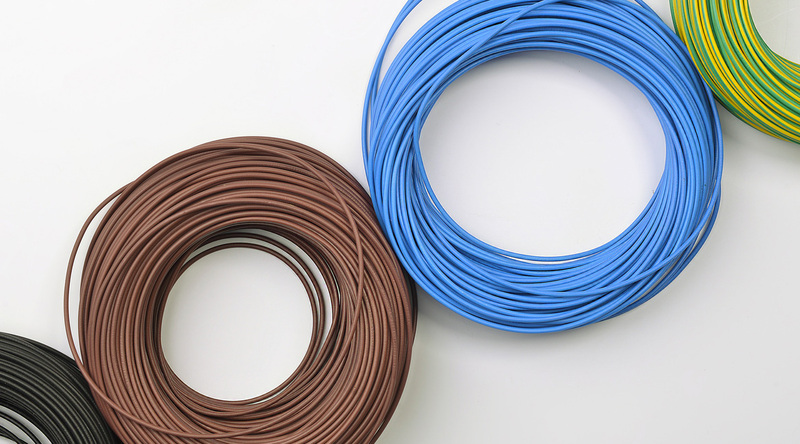 Jaguar Industries Wire Wrap Wires are available in a wide range of sizes, colors, and put-ups for prototype or production requirements. Take a look below at what we offer. For a custom quote, feel free to fill out the form at the bottom of the page.